Comey "would not" say president wasn't a target of the Russia investigation. Former New York City Mayor and President Donald Trump’s attorney Rudy Giuliani said on Wednesday that the president fired former FBI Director James Comey last May in part because Comey wouldn’t assure the president he wasn’t a target of the FBI's Russia investigation. Special counsel Robert Mueller told President Trump’s attorneys in March that the president remains under investigation but is not a criminal target, multiple sources familiar with the discussion confirmed to ABC News. 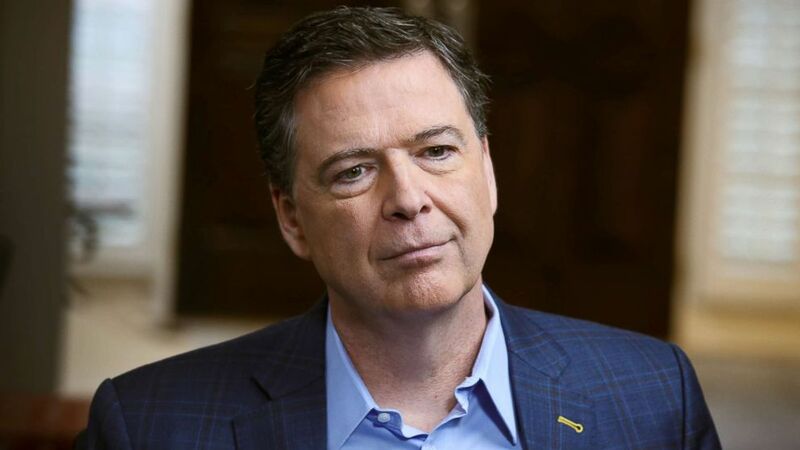 (Ralph Alswang/ABC) George Stephanopoulos sits down with former FBI director James Comey for an exclusive interview that will air during a primetime "20/20" special on Sunday, April 15, 2018 on the ABC Television Network. The claim from Giuliani marks the evolving narrative offered by Trump and his administration about the circumstances surrounding Comey’s firing and comes as negotiations are ongoing between Trump's legal team and Mueller's office about a possible presidential interview. Mueller has expressed interest in probing the president on the circumstances surrounding Comey's firing. The White House initially said in a statement May 9 that President Trump decided to fire Comey on the recommendation of Deputy Attorney General Rod Rosenstein, delivered earlier that day. In the memo, Rosenstein was critical of Comey's handling of the FBI's investigation of Hillary Clinton's private email server while Secretary of State. Trump said May 10 he fired Comey "because he wasn't doing a good job." But in an interview on May 11, Trump told NBC News he had decided to fire Comey "regardless" of what Rosenstein recommended and said he was thinking about “this Russia thing” when he fired him. 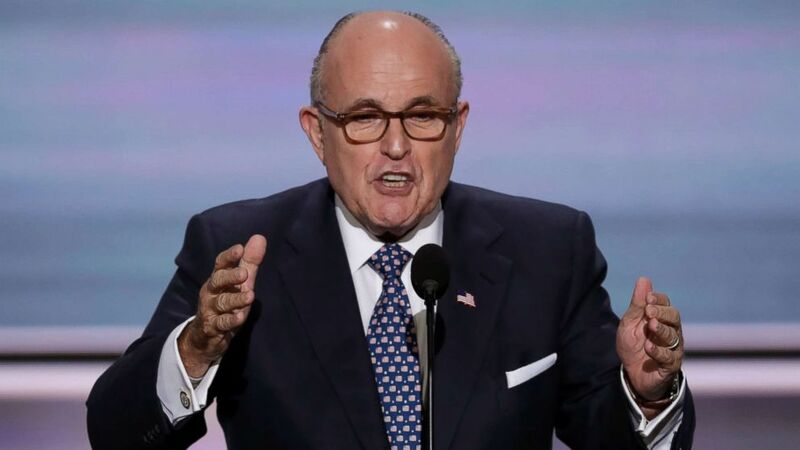 (J. Scott Applewhite/AP Photo) Former New York Mayor Rudy Giuliani speaks during the opening day of the Republican National Convention in Cleveland, July 18, 2016. Asked by ABC News' Jonathan Karl that same to square the president’s comments to NBC News, White House Press Secretary Sarah Sanders said she did not have the opportunity to directly ask the president until the Thursday following Comey's firing and was previously working with information she had at hand. "I've since had the conversation with him, right before I walked on today. And he laid it out very clearly. He had already made that decision," Sanders said, referring to the timing of Trump's decision to fire Comey. About a month after he was dismissed, Comey told the Senate Intelligence Committee that he believed Trump fired him to impede the FBI’s investigation into Russia's meddling in the 2016 U.S. presidential election. "I was fired in some way to change — or the endeavor was to change — the way the Russia investigation was being conducted," Comey told the committee. Editor's note: This story has been corrected to reflect that at the time former FBI director James Comey was fired, the Russia probe was being led by the FBI. Special counsel Robert Mueller had yet to be appointed.